Time to brush the snow off this keyboard and respond with this post regarding two wonderful awards handed to me these past few weeks. Nominate several other blogs. Link their blogs and inform them about the nomination. 1. The 1st thing that I must say is the inspiration by the MANY comments from my post “My Secret Valley“. We may be just one person from our little corner of the world, but together and collectively, we CAN and WILL make a difference, in preserving our forests for future generation. 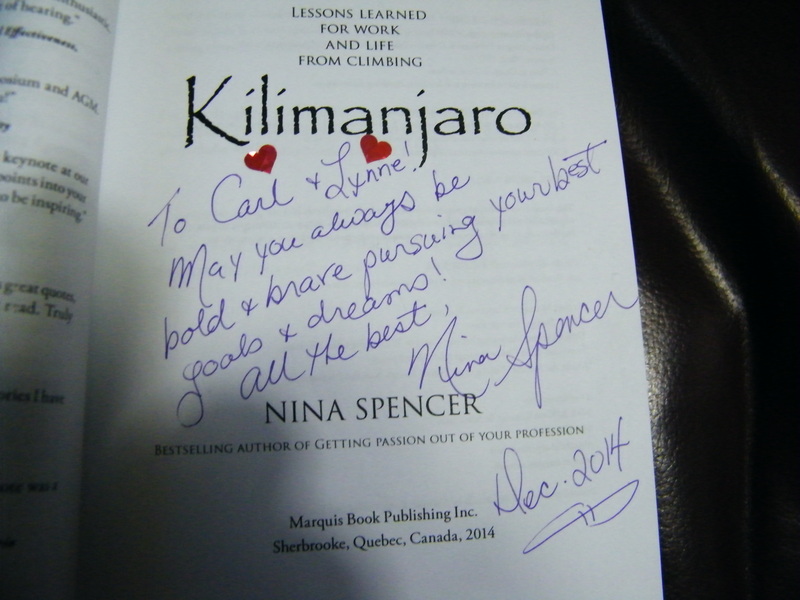 Personally autographed by author Nina Spencer! 3. Rubber Hobos (49 Followers) At the end of 2010, Donna and her husband sold their home in Pennsylvania, bought an RV, and never looked back. 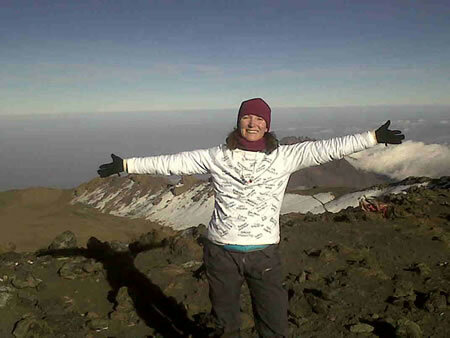 This blog is about their journey, where they have been what they have been doing. The photography is beautiful. I hope you have a chance to look up these excellent bloggers (all under 50 followers), from these 2 awards. Thank you for still running in another LONG blog post. Just want to close with something that has been on my heart a lot lately. It has do with human slavery. 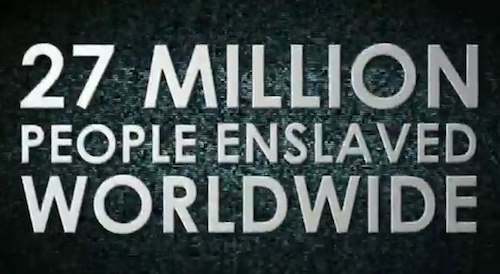 Even though slavery and human trafficking was said to be abolished 150 years ago, there are more human slaves today than any other time in history. In the website War International, it states about human trafficking, “It’s the fastest growing arm of organized crime all over the world, effecting more than 800,00 people per year”. In total there are currently 27,000,00 people trapped worldwide. 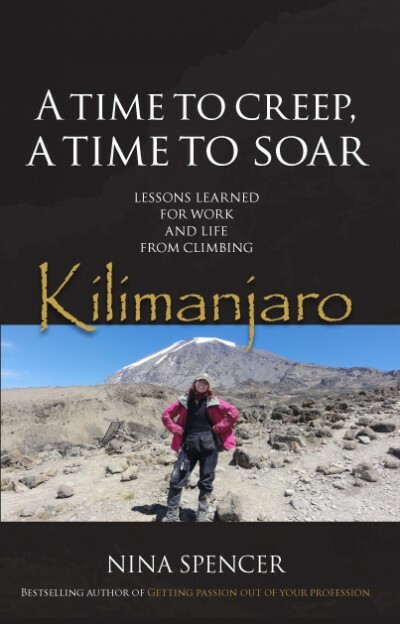 With no means of escape, these people would never have the opportunity to hike the Pacific Crest Trail, or climb Kilimanjaro, or go for an RV journey across America, or simple enjoy nature in your back yard, and write about it in a blog. In my case, they could never run, simply for the love of running (unless it is running to try and escape). One of my favourite Christian bands is Tenth Avenue North, which is trying to bring awareness of human trafficking with this song called, “For Those Who Can’t Speak”. To give you a little assignment while watching, try and figure out why lights are being turned on and blinds opened. That’s a great song! I just watched a documentary about human trafficking, it’s incredible how under-reported and yet rampant it is…so sad. Awareness will definitely help though, so good for you for writing about it! On a separate note, thanks for the shout out, I appreciate the mention! 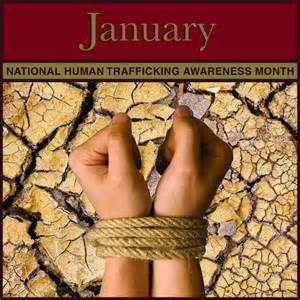 Your solidarity regarding human trafficking means a lot. I take my freedom for granted too much. Glad there is some documentaries being made on this topic. I have not seen any myself. The video is what got me aware of it, and then I started digging deeper. As you mentioned, it is really under reported. I love how you champion great causes!! Amen!! Thank you so much April. This is actually something I do in my Sunday services, is to set aside a segment and talk about an awareness issue, and what can we do. It may be signing petitions/writing letters, doing something tangible like volunteer/give or one of the most powerful things….pray! And sometimes when we are aware of an issue, people are much less likely to judge. That is wonderful. Exactly what Christians should be doing!! 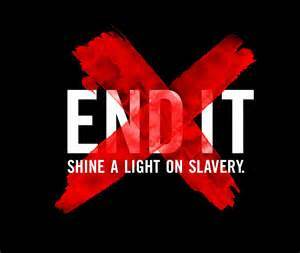 Thank you for your support to end human trafficking. It does take place in Canada, but it is extremely hidden. You are welcome 🙂 Yes, what we all need is an early encouragement as bloggers and as in life. Ha, ha, I did remember hand writing day, but only got one letter written. Thank you for inquiring! 🙂 I guess I should have written a post about it. I really need to be more spontaneous….like YOU! 🙂 This last post was a whole week in draft form before it finally got published, which is way too long! Well I have my pictures to support, so I look at them and write something. Found it! And what a GREAT post! I’m pretty much as good as new now…..but….yikes, got a half marathon just over a month away in Burlington. Carl – great post! Thanks for bringing attention to such an awful truth as human trafficking and I hope you get all healed up soon! A gum infection sounds completely awful. Always love your writing. All the best! Congratulations Carl 🙂 And thank you for your lovely words! I will start doing rounds of your nominees. Also, thank you for pointing out it is Awareness month for human trafficking – a sensitive issue and less talked of in social circles somehow compared to others. I will listed to the song 🙂 They are a discovery. I appreciate your comment on human trafficking. Yes, this is an issue that is so little talked about. Your most recent blog post, “To give or not to give” broke my heart when you mentioned in India, some beggars would have to hand over their “earnings” to ringleaders. That is so sad. You more than deserve every single award. You are a most generous and kind human being. I appreciate learning more from your words, videos and books you share. And will also check the blogs you mentioned. You are so right to introduce them to all of us. I wish you even more generosity and kindness in your heart so you keep t giving so much good to others. I visited all of your four nominees, thanks for the links. I just love discovering new blogs, new places. Thanks for sharing. And all the best for you. My pleasure Cecilia. 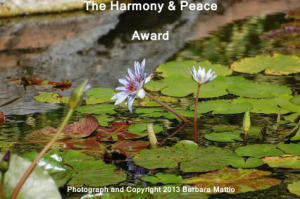 Thank you for stopping by my blog and visiting the nominees. This is one of the best “award” posts I’ve read. Thoroughly enjoyed it and will check out the blogs you mentioned. 🙂 You gave me a bit of inspiration after a long and crazy day. thanks! Awww, thank you so much Lilka for your more than kind compliment. Thank you for reading and sharing. Sincerely hope today goes smoothly for you. Carl, congratulations on the awards, most well deserved! 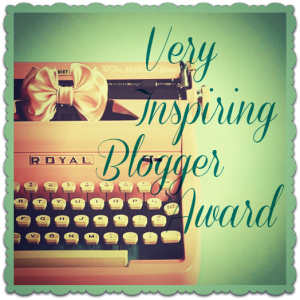 I love your approach, and how you selected your nominees for the awards, a wonderful opportunity for your community to be introduced to new bloggers. You have written a lovely post, accepting so graciously and passing on the awards with even more grace. 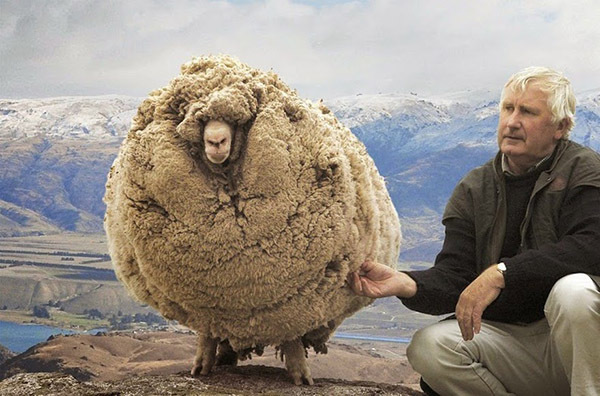 Carl, you are an amazing and wonderful person! I’m pleased to hear that you are feeling better! Thank you for bringing more awareness to the huge problem of human trafficking, and including the music video as well. Please take good care, and again, congratulations! Thank you so much Pepperanne, this means a lot. When I think of someone who is gracious, I think of you, with your touching replies to those who comment on your blog. I can’t imagine what it is like to be a victim of human trafficking. Very, very sad. Thank you for reading, and your ongoing support and friendship. Great post, Carl. I love Tenth Avenue North, too! A great avenue to raise awareness for an overlooked tragedy. Congrats on your much-deserved awards, friend! Thank you Paige. I always appreciate your support so much. Saw Tenth Avenue North in concert a couple of years ago with my oldest daughter. They have such genuine hearts. Salute you for your spirit. Your all round presence in Blogosphere is commendable. There is a lot to learn from you. Himanshu, my friend, thank you so much. We do learn from each other. I appreciate and commend you for the simplicity of your travels, and sharing so profoundly the beauty and spirit of India. Congratulations on the awards. I am glad for You.